Searching for effective methods and frameworks of de-identification often looks like chasing the Golden Goose of privacy law. For each answer that claims to unlock the question of anonymisation, there seems to be a counter-answer that declares anonymisation dead. 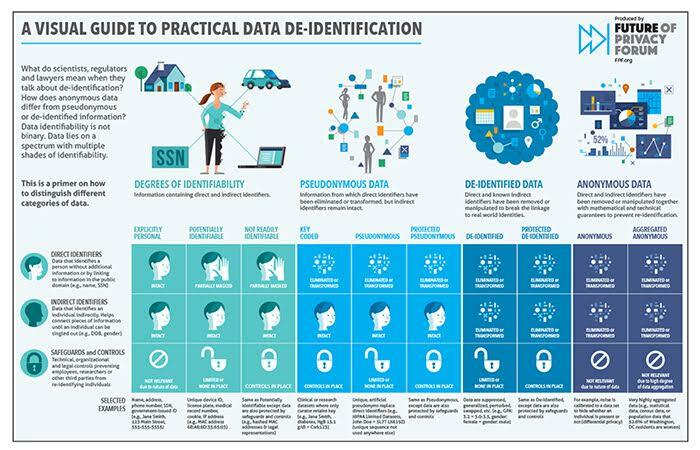 In an attempt to de-mystify this race and un-tangle de-identification in practical ways, the Future of Privacy Forum and the Brussels Privacy Hub joined forces to organize the Brussels Symposium on De-identification – “Identifiability: Policy and Practical Solutions for Anonymisation and Pseudonymisation”. Last week, FPF brought together a panel of technology, legal, regulatory, and business voices to discuss “The Law and Science of De-Identification” at the 10th annual Computers, Privacy, and Data Protection conference. For more than a decade, scholars and policymakers have debated the central notion of identifiability in privacy law.